Home→ALTA Title Survey→What is ALTA Title Survey? What is ALTA Title Survey? ALTA stands for American Land Title Association. ALTA Title Survey is actually similar to boundary or lot survey of a certain piece of land. 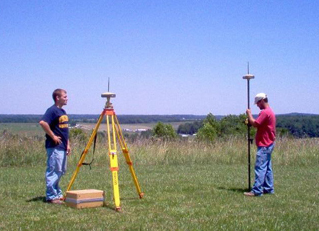 However, an ALTA Title Survey has further requirements for the land surveyor as he executes the survey. 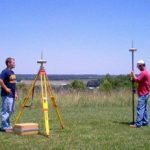 Most states have widely varying standards for surveying. Thus, ALTA Title Survey follows a national standard for lot surveying aimed to generate consistency retnrdless of the location of the survey. It is usually done on multi-family residential or commercial sites and when the owner and lender are from different state jurisdiction. But more often than not, it is prepared for commercial properties because it provides the information needed in order to insure the title to the land. Commercial developments may also require improvements to a high level that is also obtained through this survey. Costs for such surveys could go up to 50% – 200% more than a similar boundary survey. It is also important to note that the more restrictive standard is followed in the survey if and when the state standard is more restrictive on a certain aspect than the ALTA standard. An ALTA Title Survey must show all data including boundary lines, main building location and all its improvements, location of ancillary buildings, rights-of-way, and easements or access rights by services such as water, telephone, tns, railway and other utilities. A helpful tip in outlining the scope of services of the land surveyor is to thoroughly go over the elements of “Table A – Optional Survey Responsibilities and Specifications”. Before an ALTA Title Survey can be completed, there must be a current title commitment. This is where the land surveyor will refer for the legal description of the property and all legal encumbrances or exceptions. The areas of ownership, encumbrances, and improvements will be presented graphically including encroachments, if there is any. All the affected parties; the buyer, seller, lender, and title insurance company must be indicated in the ALTA Title Survey certificate. The land surveyor and the title insurance company must closely work together in order to illustrate comprehensively all matters affecting the ownership of the land and improvements. Requirements for an ALTA/ACSM Land Title Survey as detailed by the American Land Title Association, National Society of Professional Surveyors and the American Congress on Surveying and Mapping is certainly met through an ALTA Title Survey. If we can help you with an ALTA Title Survey in the future, please don’t hesitate to contact us at ​Jasper Land Surveying Land Surveying at (423) 301-8001 or fill out our contact form by clicking the link.